An experience that forever changed my perspective on "illegal" immigrants. I thought I was just filming about a club meeting for a project, but when I entered the art-filled room located in a corner of the student common area, I knew this experience would be much more than a grade for a class. I was welcomed in by a handful of people wearing various Arizona State hoodies and T-shirts that were all around my age. They were college students, like myself, but something felt different when talking to them. They were comforting, shy at first, and more driven than the peers that I usually meet. As I began to look around the room, I noticed a good amount of art, murals, religious pieces, and a poster that read, "WE STAND WITH DREAMERS." The club was meant for students at ASU that are either undocumented or DACA recipients. As a U.S. citizen college student, you typically tend to think about your GPA, money, and dating. As a DACA recipient college student, there are many more issues crowding your brain. When I sat down at a club meeting for students my age dealing with entirely different problems as me, my eyes were opened to bigger issues. 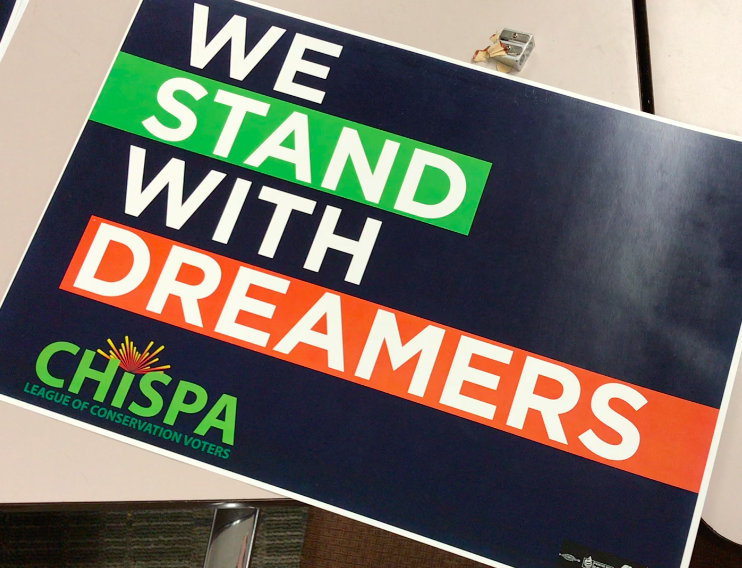 The Deferred Action for Childhood Arrivals, or DACA, program allows for individuals that crossed the border as children to be protected from deportation and to go to school or work. Commonly known as DREAMers, these individuals are some of the most hard-working, goal-oriented and focused people I have met, and that's solely because they have to be. In order to apply to be a DACA recipient, it is required that the applicant is attending school with a high school diploma, or a military veteran, as well as have a clean criminal record. While being a DACA recipient does not mean that you can become a permanent citizen of the United States, it allows for opportunities that may not be offered in their home country. It's no secret that the United States has dealt with immigration in a number of ways. From forming new policies to building a wall on our nation's border, we see efforts to keep immigrants from entering the U.S. every day. But what about the people who are affected? As the club members and I began a painting activity regarding where we came from and how we got to where we are today, I began to feel the urge to cry. One girl described the small Mexican town that she grew up in and the family that still resides there. She went on to talk about how important education is to her family and so much so that it was the cause of her family's move to the United States when she was still a child. Her voice wavered when she talked about the changing immigration policies that prevent her from seeing her family in Mexico. Another member of the club, a boy with goals of becoming a journalist, talked of his depression and obstacles regarding growing up as an undocumented student. Once he was told by his father that he was illegal, he began to set himself apart from his peers and became someone he did not think he would ever be. All of my worries seemed small in comparison to theirs, and I felt a pang of regret for realizing I take my own citizenship for granted every single day. Terminating the policy would lead to the displacement of about 800,000 people. We tend to forget about the human aspect of all of this change, but it's the most important part. I write this not being from an immigrant family myself, but from a point of wanting to sympathize with you and let you know your struggles and sacrifices have not gone unnoticed or unappreciated. We hear you and we commend you for your bravery. All you want is to live a happy life in a place that provides you with the most opportunities to thrive and succeed, which your home country may not be able to do. Even if it means packing up your life and literally starting over somewhere completely foreign, you do it because you see the potential for the future for your family and children. These choices are life-altering, and you put so much at risk by delving into the unknown. The melting pot that is the United States is quite the culture shock, made up ironically of a plethora of ethnic communities that all were immigrants once, too. This can be comforting thinking that you are not alone in the immigrant aspect, but the process of assimilation can be completely overwhelming. You have seemed to create a happy mix of assimilation while contributing many admirable attributes of your own culture to society, which in my opinion is what makes the American culture so unique. You have fought past the negative connotation that has been given to the word immigrant from the media, and continue to fight every day. You are an integral part of society and work so hard to chase your dreams and enrich society. The opposition and naysayers seem to be motivation, as you have successfully pursued rigorous degree plans at prestigious American universities, which is always something to be proud of. People may try to take away your strength mentally with hatred, but your education is one thing they can never take from you. If you are reading this and you come from an immigrant family, I support you and respect you and all the hardships you may have endured. Whether it be to provide for children, siblings, or to pursue an education, remember to keep pushing past the struggles and celebrate all your victories. Although you may be thousands of miles from your family members, just imagine how proud they are of you. 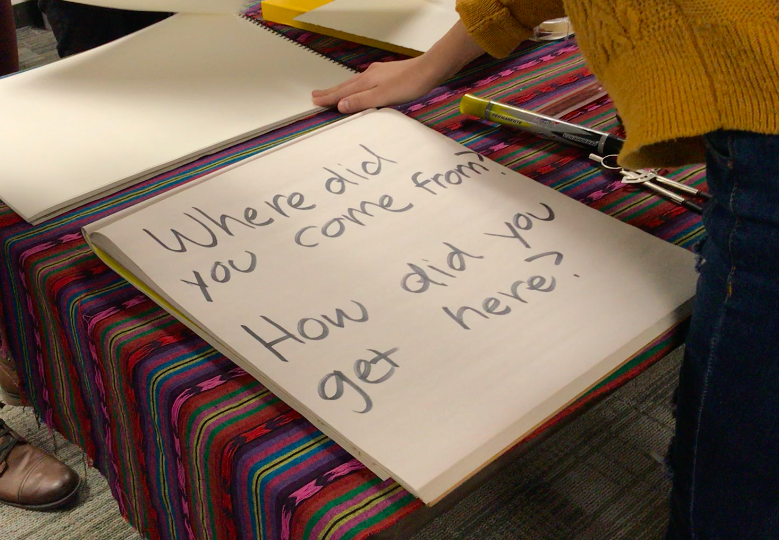 If you are reading this and you do not come from an immigrant family, try to understand the immigrant community to the best of your ability, and think about everything they have been through. The United States was founded by immigrants, so it is very likely your family was in their position at one point. Take advantage of the rich worldly culture that surrounds us in our nation, you will be surprised by how much there is to learn from our international brothers and sisters. I hope from this that one day we can all create a bright future united, for ourselves as individuals and the nation as a whole that we share.